knottieec071e77346d1b25, knottie1485baea6954f769, knottie45b089f228d0f876, knottie69810317f0ef0bc4, knottie8e854db0ec63b825 and 71 others joined. We were planning on $20K, but now our budget is up to $24K (not including rings or HM). The rise is mostly due to catering/rentals (now up to ~$11K) - we're getting exactly the menu we want, a full bar, and all the little extras our caterer offers (she's also our day-of coordinator). The other big expense is photography - I don't know if the $3K price tag seems high for anyone else, but we were originally wanting to spend only $1K, so it's high for us. I've already ordered my dream dress (only $1K, and I adore it) and I'm planning on splurging on shoes and jewelry. Hopefully, I'll be giving my FI a platinum wedding band, as well. The ceremony and reception band we've hired is amazing, but we're getting a major discount on them since we're musicians and they're our friends. Those are probably the most "luxuriuos" aspects of my wedding. What about everyone else? Re: What is your budget? Our pricetag will fall somewhere in the 30K mark. 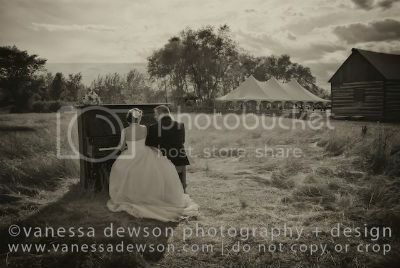 Partly because I won a contest worth 20K for my wedding so that was a huge help, although it doesnt cover all the aspects. We're spending 3500 (2500 was covered) on photography, approx. 3000 on dress (part of the contest) videography (free, part fo the contest), party rentals (somwhere in the 1k mark, part of the contest), we won the venue but not going with the one we won because of horrible service thus far, so we're paying for a new venue. Wedding rings (won 1350$ but still owing 300 that wasn't covered), my flowers shouldn't cost me anything (got 1000$ worth and dont want much), food will be somwhere in the 5000$ mark and we're paying for this, however our after-morning brunch will be covered from the catering company I won, since the venue we do go with wont allow other caterers. Our centerpieces will be covered (3000$) And we have to pay for the FI's attire, favors, and other small items. Depends on your area. For my area it is, espcially for a guest list of 55-65 people. Now if we're talking New York City, obviously not. In our area most weddings are $5-$10K. We are looking at around $40K not including the honeymoon. We are inviting around 275, but given the fact we are doing a DW and the reactions we received at this point to that, expecting closer to 150-200 to attend. Getting the wedding of your dreams: worth every penny! We are at 20 to 30k (Hoping to stay in low 20's), and I think it all depends on the area your having your wedding. To my friends in michigan its normal priced..and to my friends here in oregon its ridiculous expensive, and to a very few of my friends its really cheap. holy sh*t at the people spending $80 000-$100 000, that's like 1/2 of what our mortgage for our house is. If my parents said we could have a sh*t ton of money I would use it for my student loans. Even $40 000 would pay off my student loan or my car payments! Question to all you luxury brides, do you own homes and live debt free? If not, how do you justify (in the scheme of things) spending the equivalent of a HUGE (in some areas of the country) downpayment on one day? I'm honestly trying not to snark, I'm legitimately curious. I own a home, but have a mortgage. We pay extra toward our mortgage. We otherwise live debt free (credit cards are paid off monthly, neither of us ever had student loans, we both put money in savings every month and carry solid balances in our bank accounts.) Honestly, one of our passions is travel and since we're having a destination wedding, it just adds a small amount on what we would have spent a lot of money on anyway. The actual wedding portion of what will most likely be a $30K wedding for two is maybe $8K. I use my FF miles and hotel points whenever I can since I spend 1/3 of a year living in a hotel and traveling for work. My first wedding was signifcantly more and I had the choice of taking the money for my home or for the wedding. I was actually talked into having a big wedding by my family, and since they were paying, I planned something great! Our total budget is around $95,000, if my engagement ring and band (totaling just under $20,000) are included. We'll likely go over a bit, but that won't be a problem. My parents are paying for the wedding, but my fiance paid for the rings himself. All that matters is that you are happy and it sounds like you are! Trust me- if my parents hadn't talked me into a more traditional wedding the first time around, I certainly would have not spent as much as I did. However, since I did have a more traditional wedding. Now that I'm a second time bride, spending the amount of money as my first wedding was a VERY LOW priority. I just couldn't fathom doing it again and we do extremely well financially. Not that there is anything wrong with it, but I just have different priorities now. I'm doing what makes us happy and what makes us happy is keeping things low key, but celebrating somewhere that is a bit higher end since we love to travel to exotic places. Every person is different and noone is wrong in how they choose to spend the money they earn or celebrate their marriage the way that their family would think is appropriate. [QUOTE]holy sh*t at the people spending $80 000-$100 000, that's like 1/2 of what our mortgage for our house is. If my parents said we could have a sh*t ton of money I would use it for my student loans. Even $40 000 would pay off my student loan or my car payments! Question to all you luxury brides, do you own homes and live debt free? If not, how do you justify (in the scheme of things) spending the equivalent of a HUGE (in some areas of the country) downpayment on one day? I'm honestly trying not to snark, I'm legitimately curious. Personally, my FI and I currently have no debt. We own three cars that are completely paid off, we have no college loans or credit card debts. Granted, my parents are the ones paying for our $80,000 wedding. When we started planning, my parents told me that there was no set budget and basically 'whatever it costs it costs'. My parents own 4 homes and have no mortgages or debt either, so really, it didn't matter to them. In all honesty though, I would have been happy just eloping, but it was really important to my mother to have all of our family around. My FI and I are currently in the process of building our own home though, so we will have a construction loan soon enough. If my parents were not generously paying for our wedding, we def. would have just done something small. "Judging a person does not define who they are. It defines who you are." Our budget is 20K. This is not including the rehersal dinner and people that his parents invite above and beyond what we choose to invite like their friends. "A wedding is a day, a marriage is a lifetime"
whoa some brides out there are so blessed to be able to spend so much but I wouldn't change a thing. I was wondering about what age people are. I know this may seem offensive but obviously if you are a bit older and more established you are able to spend more. My FI and I are both 22 and will be when the wedding is. [QUOTE]whoa some brides out there are so blessed to be able to spend so much but I wouldn't change a thing. I was wondering about what age people are. I know this may seem offensive but obviously if you are a bit older and more established you are able to spend more. My FI and I are both 22 and will be when the wedding is. When I was married the first time and had the big traditional wedding, I was 24 and my FI was 26. This time, I'm 32 and my FI is 49. Yes, that's quite a bit older, but the amount of money we're paying for our wedding now is the same amount I contributed during my first marriage when I was 24. Had this been my first marriage, we probably would end up spending around the same as my first wedding and would have probably contributed most of that cost ourselves. Age in my case, didn't really have anything to do with it, it's more about priorities. We cringed at the thought of having another traditional wedding with all the bells and whistles. expecting 250000 to 300000 we are having 300 guests,Most of the money is going to my dress mine and hubbys ring and all of my jewelry,we are paying for part of it,most of it about 200000 is coming from hubbys parents,my dress my mum is buying. Wait, you are 24, your husband is 26, you're already married, and you're having a 300K wedding? And his parents were willing to throw in 200K? I call bull. And wow, you aren't having a wedding--that happened when you got married at the courthouse. [QUOTE]expecting 250000 to 300000 we are having 300 guests,Most of the money is going to my dress mine and hubbys ring and all of my jewelry,we are paying for part of it,most of it about 200000 is coming from hubbys parents,my dress my mum is buying. LOL I had a luxury wedding in Baltimore back in 2004. So, I definitely know the ins and outs of planning there. Maybe we can compare notes? :P HA! My parents are paying for our wedding and our inital budget was guesstimated at about $50,000 but reality has set in (with approval and blessings lol) at more like $100,000 when all is said and done. But then again the venue alone costs $20,000 and that doesn't include lighting, catering or anything, just a place. I just came across this board and I am glad this post was on the first page because I was curious. My parents wouldn't give me a budget even though I begged... weird right? Their thought was let's just find the best value. I think we're going to sit around $50k not including the money I'm spending which maybe will be a couple grand. I have been trying to be really frugal but my mom has been the one spending more on things which is strange because she's EXTREMELY frugal. The wedding probably would've cost much much much less if I chose a venue where we didn't have to bring in everything. We're getting married at my aunts beach house so nothing is included even toilets. We're having 250 guests and I think the average in my area is about $22k. I agree with NJ cost for wedding it is very pricy up here. My cousin lives in Texas and she's getting married also and the venue with 150 ppl is not costing her more then 5k lucky for her she saves a lot lol. Im looking at about 20 to 25k including honeymoon. I wanna try to budget myself very well and have the wedding of my dreams but around that budget. My father is giving us 10 to 15k and then the rest my Fiance and I are saving up for. Im planning on getting married in 2014. I already found the wedding dress of my dreams I'm going to try it on soon so if it's the one then il be spending between 900 to 1200 on it which is around my budget. I'm getting so worried tho with money but since I have two years I'm sure I'll be fine and not have a problem with it. Plus we're getting married at the venue too so that will save us money on transportation as well. My Fiance and I want to go to bora bora for our honeymoon so many ppl say to me why spend all that money on that when u can save it for something else. And I tell them because it will be our honeymoon and who knows of wel ever be able to there after we get married. How is it there? The pictures we have seen are gorgeous and wow. We can't wait to go. We're saving extra for that! [QUOTE]I just came across this board and I am glad this post was on the first page because I was curious. My parents wouldn't give me a budget even though I begged... weird right? Their thought was let's just find the best value. I think we're going to sit around $50k not including the money I'm spending which maybe will be a couple grand. I have been trying to be really frugal but my mom has been the one spending more on things which is strange because she's EXTREMELY frugal. The wedding probably would've cost much much much less if I chose a venue where we didn't have to bring in everything. We're getting married at my aunts beach house so nothing is included even toilets. We're having 250 guests and I think the average in my area is about $22k. Not weird! I actually dealt with something similar. I think some parents want to be generous but don't know what a "good value" is for a wedding. In my case, I asked how much I had to spend and the response was "give me a price and I'll tell you if it's okay." So, it was hard to know what was going to get a thumbs up. Thankfully, all of it did! This was all for my first marriage- the one I'm planning now is all on my dime and I at least had an idea going into things what "normal" is and what seemed outlandish. Total for HM and wedding we spent ~22K, got a deal on our HM!! That's not including rings. As an FYI- a large part of budget is area costs. For example, if you look at the Westin E menus it breaks down price by areas for their catering costs. A chicken dinner is 32/person in Pittsburg and 92/person in San Francisco. 20% down on a house here is close to 200k. If the COL is higher, so are all costs, from catering to photos to alterations AND salaries. So I fail to see why someone in San Francisco would have to justify my budget to someone in Arkansas.